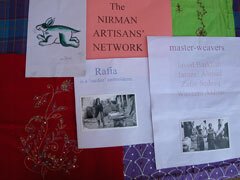 The NIRMAN Artisans’ Networks creates connections with artisans in Banaras and beyond. 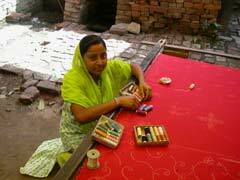 It aims to help in the preservation and evolution of traditional arts by creating an audience for their work and products through exhibitions and education, using their skills in products for children, and providing educational opportunities for the children of artisan children. 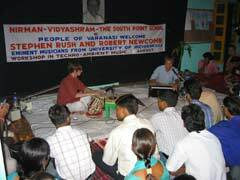 The NIRMAN Artists’ Network creates connections with professional artists and musicians. It provides opportunities for them to disseminate their work and create a larger awareness of art by arranging performances, workshops, residencies, exhibitions, and camps.